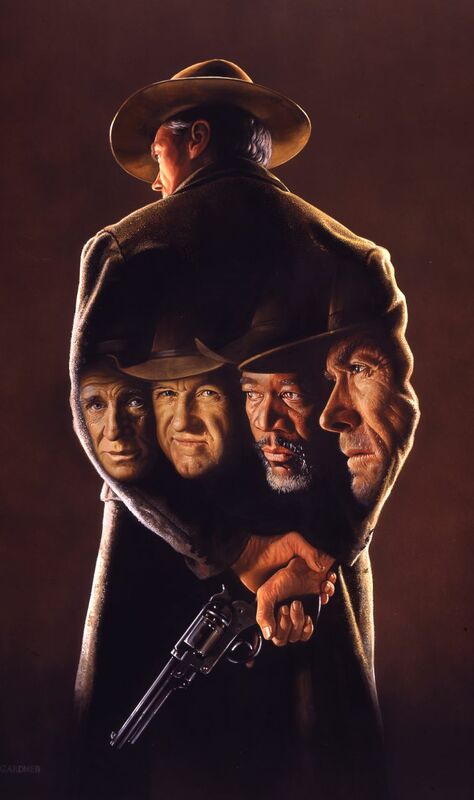 21 years ago i did this movie poster illustration for the Clint Eastwood film "Unforgiven". I have often described as the watershed moment I almost drowned in. I don't know where those 21 years went, but I'm thrilled to be able to say that the painting has been accepted into the permanent collection of the Museum of American Illustration at the Society of Illustrators. Not bad for an English bloke.